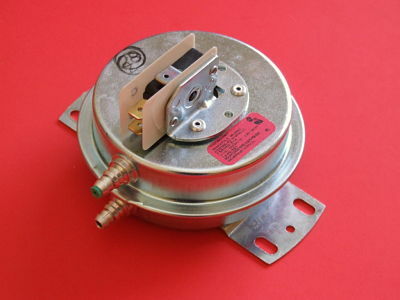 Furnace Pressure Switch for Comfortmaker; Heil; Intercity Products; Snyder General; Tempstar equipment. Replaces Part Numbers: 1445591; 1445-591; 1445592; 1445-592; FS6350-514; FS6350-514. Used in Comfortmaker; Heil; Intercity Products; Snyder General; Tempstar Models: GUH100A; GUH125A.